They Couldn't Figure Out Why This Cow Was Crying All Night Long. The Reason Why Is So Beautiful. 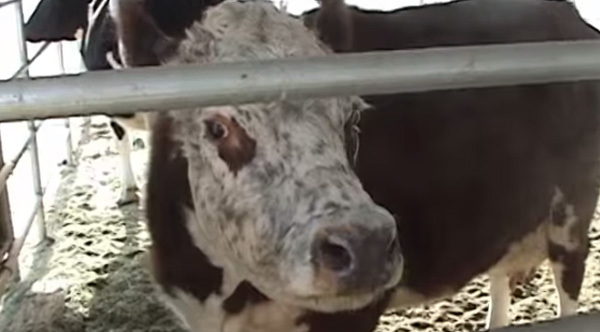 This touching video proves cows have a maternal instinct equivalent to that of a human. Karma the cow was rescued from a cruelty case where she had no food, water, or shelter, and was under a lot of stress. She was take to a sanctuary, but rescuers could not figure out why she would not stop crying. It wasn't until they noticed milk dripping from her udders that they figured out what was wrong - Karma had just had a baby. Her rescuers immediately went to find her baby from where they had rescued Karma.